New ‘Daredevil’ Poster Reveals More Cast, Plus ‘Avengers’ Cameos and Red Suit Tease? 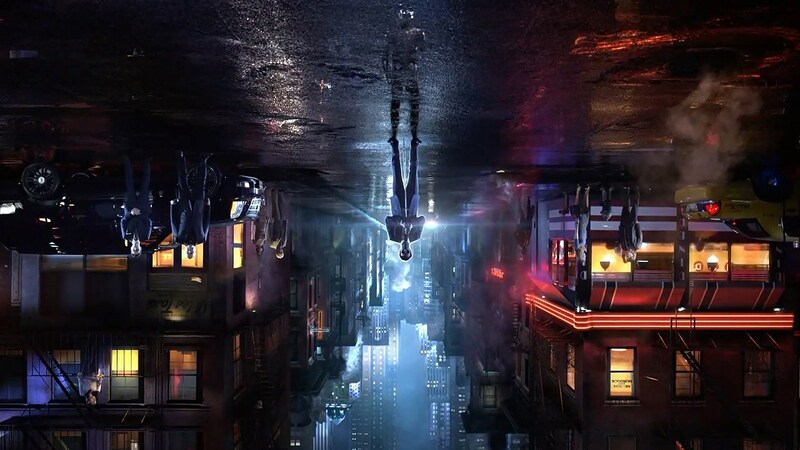 Marvel’s Netflix Daredevil has kept reasonably reserved in promotion of its April 10 premiere, but the newest motion poster teases the whole gang, and even a few other superheroes to boot. Meet the full Daredevil cast, and see what Avengers might be lurking nearby in our latest look at Netflix’s man without fear! In addition to the motion posters already available, our latest look at Marvel’s Daredevil brings the whole cast out to play, including our first look at Bob Gunton’s Leland Owlsley, and Ayelet Zurer’s Vanessa, future love interest to Kingpin Wilson Fisk. Easter egg aficionados will also spot the Avengers Tower in the background, while we couldn’t help overhearing the distinct sound of Iron Man’s repulsors amid the dialogue exchanged in voiceover. Featuring Boardwalk Empire star Charlie Cox in the titular role of Matt Murdock, the cast of Marvel’s 2015 series Daredevil also includes True Blood breakout Deborah Ann Woll as Karen Page, The Leftovers star Scott Glenn as Matt’s sensei Stick, The Hunger Games: Mockingjay star Elden Henson as Matt’s best friend Foggy Nelson, Vincent D’Onofrio as Kingpin Wilson Fisk and Rosario Dawson as Claire Temple / Night Nurse. The show’s New York Comic-Con 2014 panel also revealed the inclusion of Vondie Curtis-Hall as reporter Ben Urich, Man of Steel star Ayelet Zurer as Vanessa (not yet Fisk), and Bob Gunton as Leland Owlsley (The Owl), along with a number of recent supporting additions. Each Marvel Netflix series will shoot 13 episodes, culminating in an eight-episode team-up with The Defenders miniseries and bringing the total to 60 episodes (to start). We’ve included the latest trailers again below, in addition to the poster above, so keep counting down to the April 10 premiere of Marvel’s Daredevil! Source: New ‘Daredevil’ Poster Reveals More Cast, Plus ‘Avengers’ Cameos and Red Suit Tease?